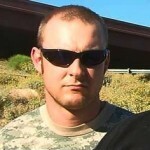 A neo-Nazi accused of making illegal explosive devices apparently was interested in supplying those munitions to anti-immigration groups patrolling the U.S.-Mexican border in Arizona, court documents reveal. Jeffery Harbin, a member of the white supremacist National Socialist Movement (NSM), was building homemade grenades and pipe bombs after trips to the supermarket and hobby stores, the documents allege. “Harbin had manufactured approximately six gallons of homemade (explosive) aluminum powder using aluminum foil,” according to a recently unsealed U.S. District Court affidavit. It was signed by an FBI agent assigned to a Joint Terrorism Task Force in Phoenix. The suspect also “had spent about $200 on model rocket engines to use in conjunction with the aluminum powder” in manufacturing the improvised explosive devices, the documents say. Jeffery Harbin is the son of Jerry Harbin, who has past ties with the neo-Nazi National Alliance and the racist Council of Conservative Citizens. Jerry Harbin is not charged in the current case. Jeffery Harbin was arrested on Jan. 14, about two months after the FBI began investigating his activities through the use of a confidential informant, the court documents say. During one conversation, the informant expressed an interest “in making ‘trip’ or ‘smoke’ flares for operations along the border and asked Harbin to assist,” according to the documents. Harbin expressed a willingness to assist, the documents say, and also said he would bring along PVC pipe and black powder, presumably for homemade grenades or pipe bombs. When he showed up at the informant’s home, Harbin was monitored by FBI surveillance teams as he unloaded two plastic tubs and a black bag, the documents say. Moments later, on a secret recording made by the FBI, Harbin displayed a homemade grenade he called his “little baby” while boasting that he had made others. He also showed the informant a pipe bomb equipped with a “model rocket engine igniter fusing system,” the documents say. After driving away, Harbin’s vehicle was stopped by the Arizona Department of Public Safety officers. Three improvised explosive devices, along with explosive powders and bomb-making materials, were found during a search of Harbin’s vehicle. He was indicted by a federal grand jury in Phoenix on Jan. 25 on two counts of possessing a destructive device and a third count of transporting destructive devices. “Jeffery Harbin built these [improvised explosive devices] in such a way as to maximize human carnage,” Dennis Burke, the U.S. attorney for Arizona, told the Arizona Republic after the indictment was returned. Harry Hughes, a local member of the NSM, told the newspaper that Harbin was no longer considered a member of the group because he had not attended recent meetings. Hughes said he last saw Harbin at an NSM rally in Phoenix in November, the newspaper reported. Harbin’s defense attorney, Philip Seplow of Phoenix, declined comment. However, in his latest court filing, the defense attorney said he had just received FBI lab reports and would need 60 days to hire an expert to analyze those. For that reason, U.S. District Court Judge Neil V. Wake agreed to postpone Harbin’s trial to Aug. 2.